Quidmarket commit to responsible lending. We like to offer all our customers help and advice when applying for a loan. Our loans are not a long term solution to money problems, so if you are experiencing financial difficulties, please look into other options available to you. So whether it’s a short term loan, payday loan or bad credit loan, if you need advice you can contact us and our Customer Services team will be happy to assist. Alternatively, you could contact one of the free debt advice companies detailed below. Click the logo’s re-direct to the corresponding websites. If used responsibly, Quidmarket loans are good value for money, but only if used how they are designed. A short term aid to call upon when you need that extra bit of cash from time to time. 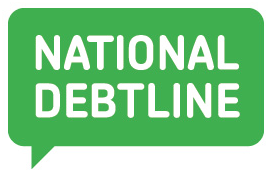 If you have multiple debts and are struggling to make repayments, or you find managing all of your creditors too stressful there are numerous companies who can offer help and advice. Having outstanding debts can have a negative impact on your credit file. This could mean that you could struggle to obtain credit in the future. It’s best to try and resolve any difficulties as quickly as possible.